I get it, you don’t care about these posts I do related to sports. You didn’t come here for that. Maybe you like football but you don’t care about the Dolphins or the fan club I run. Too bad. My guess is I am only going to post about them one more time this year, but it’s just something you are going to have to deal with. Sorry. Because they are in different conferences the Dolphins only play the Green Bay Packers once every four years. Every eight years the game is in Green Bay. Green Bay is the smallest market in the NFL by far (only 100k people live there) but they have won the most football championships in the NFL. *Of course that’s because they are one of only three teams to have been around for 100 years and the NFL didn’t exist until 1966 and didn’t exist as it does now until 1970, and they’ve only won two Super Bowls since then but don’t tell them that.) 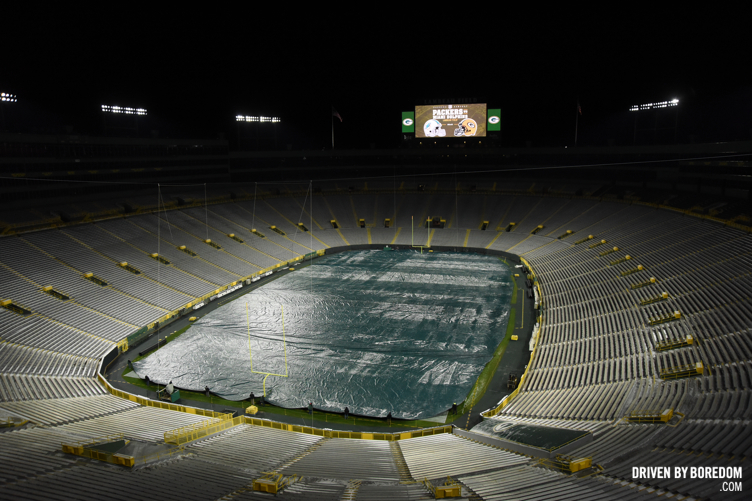 Lambeau is one of the oldest Stadiums in the NFL and is a bucket list item for every NFL fan. Most of the seats are still bleachers and it’s home to the coldest football game in NFL history. The Super Bowl trophy is even named after their legendary coach Vince Lombardi. Anyway, as soon as the schedule came out a group of us got tickets to the game and that group got bigger and bigger as the season went on. After people heard we were going they started asking us about tailgating options since we throw this huge tailgate whenever the Dolphins play in New Jersey so I kinda felt like I had to do something, but I was so busy I kept putting it off until we were about a week away from the game. 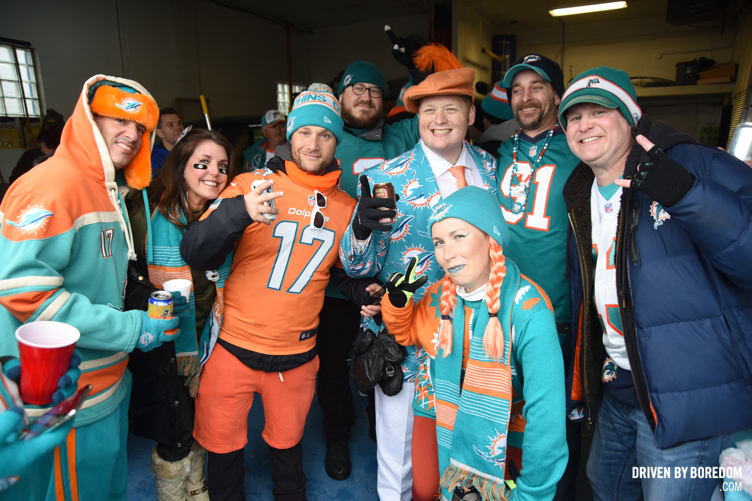 Fortunately a former Miami Dolphins beat writer reached out to me to ask about tailgating. He heard a guy named Ace had a great location about a block away from the stadium so I reached out to Ace to see what his plans were. He is the manager of a store called Extreme Audio in Manitowoc, WI (home to Making a Murder – I actually went to Avery Auto Salvage!) 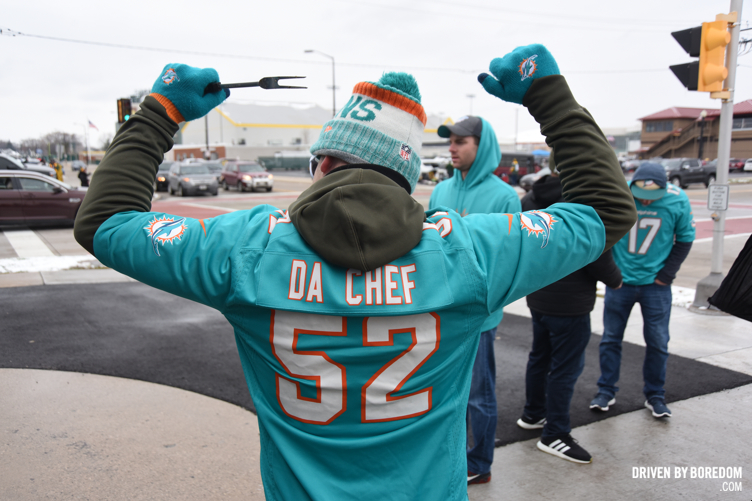 and asked his boss if when the Dolphins played the Packers he could use the Green Bay location to throw a tailgate. Extreme Audio serves as a parking lot during Packers games so his boss said as long as he could still sell the parking spaces Ace could tailgate there. It seemed like a perfect solution so I offered to buy 7 parking spaces that we could tailgate in as well as some money to pay for food. I reached out to Sailor Jerry and got them to send us some rum to make spiked hot apple cider. 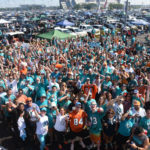 I posted on our social about the parking spaces and sold all of them in advance of the game in 24 hours and got the word out to hundreds of Dolphins fans who had made the trip. Ace did all the hard work and got all the food and booze and we went from a small tailgate into a massive event in just five days! We asked everyone who showed up to throw in $10 if they wanted to eat food and although we bought a couple cases of beer it was mostly BYOB. In the end we raised over $1000 and donated $800 of that for the local Toys 4 Tots! Dolfans NYC is a non profit so we didn’t take any money back, but we gave the $200 to Ace for his extra expenses. Overall it was a great day (at least until the game started). Lambeau was an amazing experience (although I wouldn’t want to sit in freezing temperatures on cold metal benches very often) and we even did a tour of the stadium the night before which was a lot of fun. 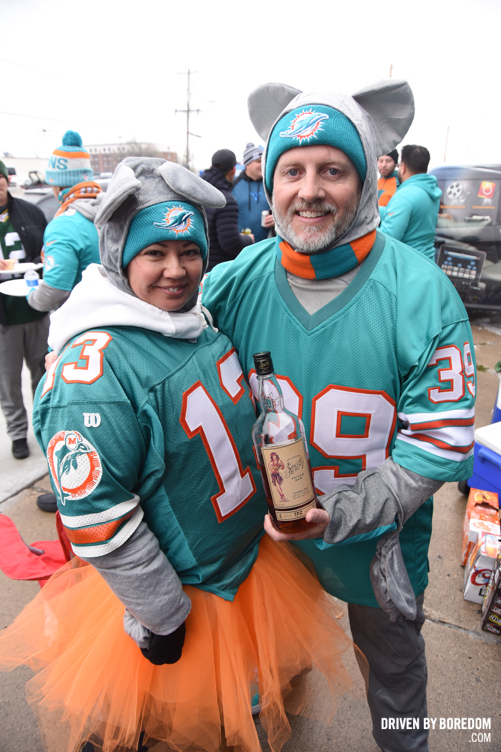 I took a handful of shots from the tour and the rest of the photos here are from the tailgate the next day. If for some reason you made it this far you probably actually want to see the photos so let’s get on with it. 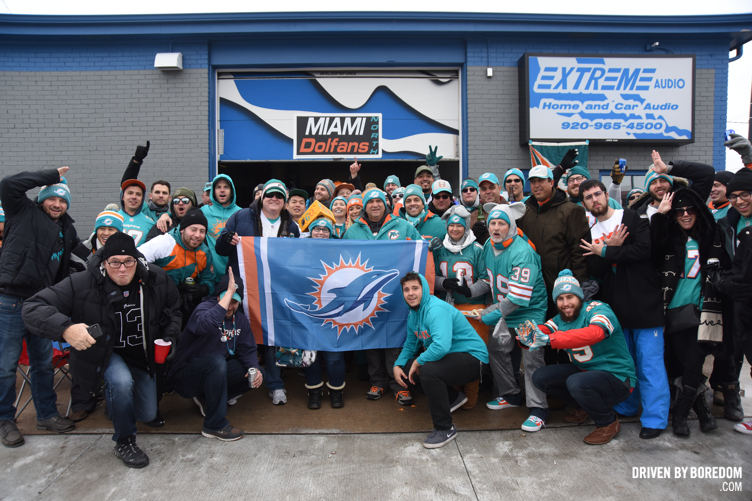 Click here to see all the photos from the Dolfans NYC trip to Green Bay and Lambeau Field.